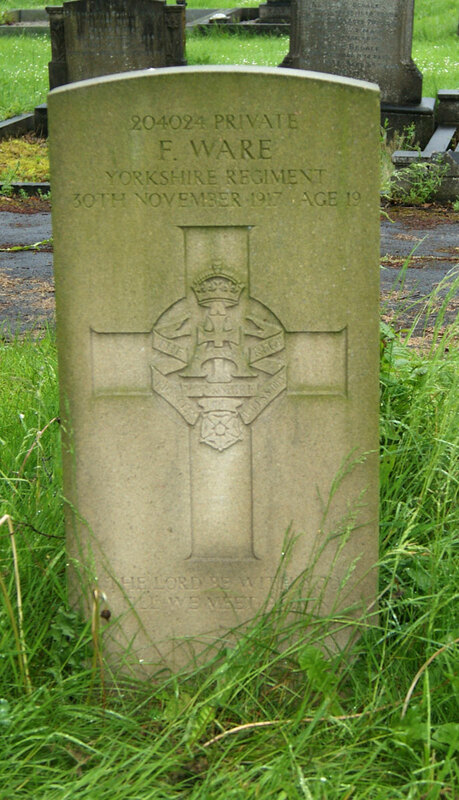 Four soldiers of the Yorkshire Regiment are buried in this cemetery. Depot, the Yorkshire Regiment. 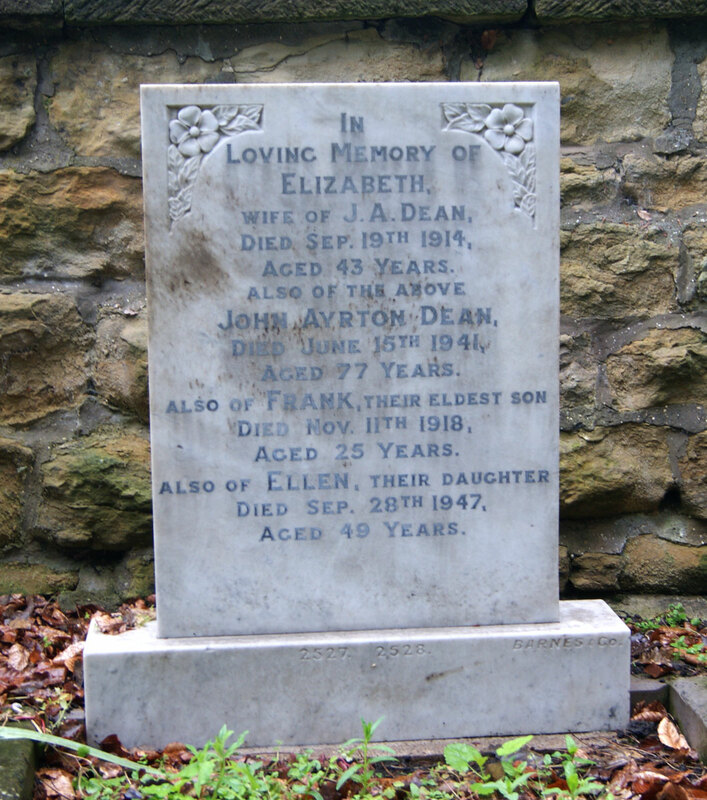 Son of John Ayrton Dean and Elizabeth Dean, of Eastfield, Norton, Malton. Died at home 11 November 1918. Aged 25. Born Malton (Yorks), Enlisted Malton. 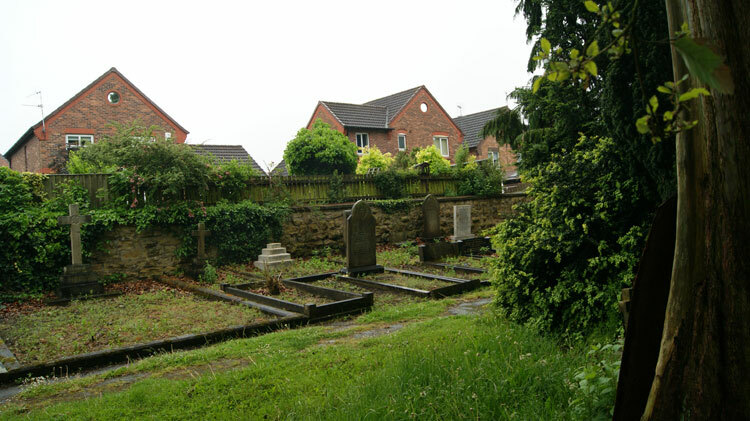 For a larger sized image of the headstone which opens in a new window, select the image on the left. 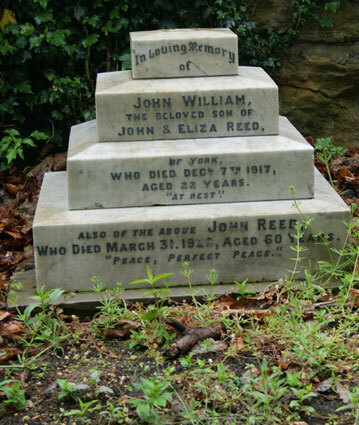 Private John William Reed. TR5/44718. Training Battalion, the Yorkshire Regiment. 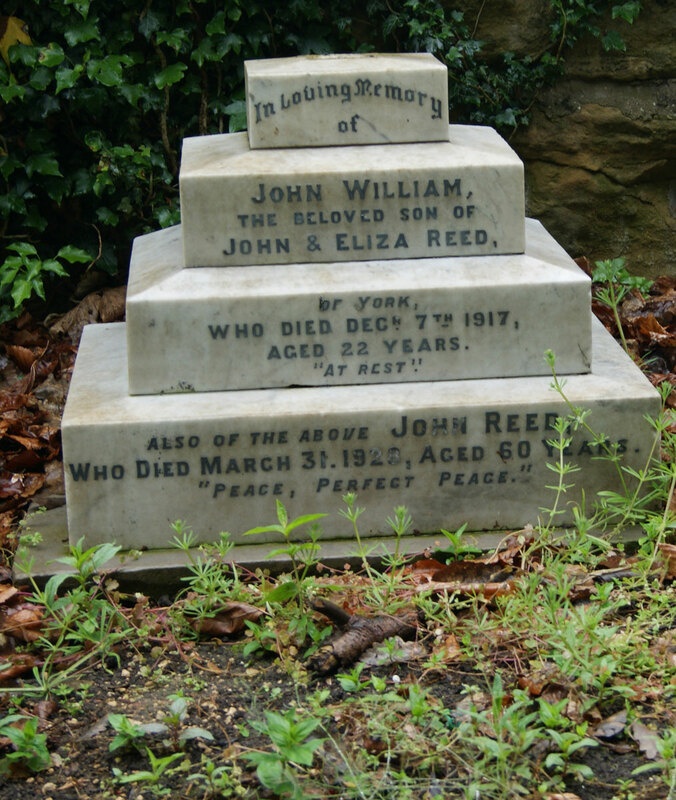 Son of John and Eliza Reed, of 10, Filey Terrace, Bootham, York. Died at home 7 December 1917. Aged 22. Private John Wilson Sedman. 2677. 5th Battalion Yorkshire Regiment. Son of Thomas and Mrs A. Sedman. Died 2 June 1917. Aged 20. Born Malton, Enlisted Malton, Resided Malton. Photo : Norman Bridges of the Ryedale Family History Group. 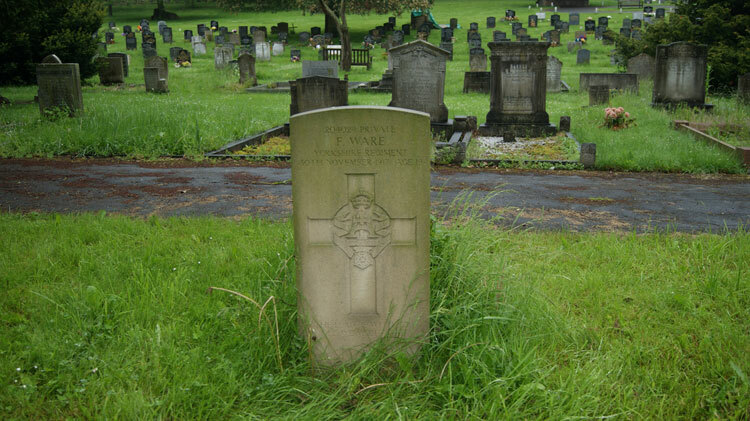 "In loving memory of / JOHN WILSON / 2677 late Pte. Yorks Reg. / the beloved son of, / T & A. SEDMAN, / of Malton, / who died Sept. 7th 1917 / aged 20 years. 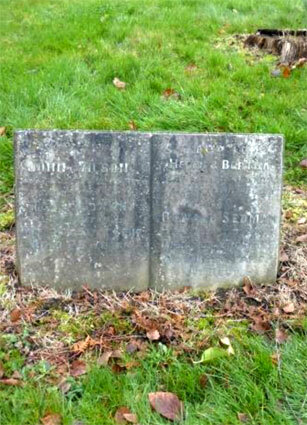 / Also of / HELEN & BERTHA, / who died in infancy. / “For ever with the lord.” / Also / OSWALD SEDMAN / 2676 Pte. 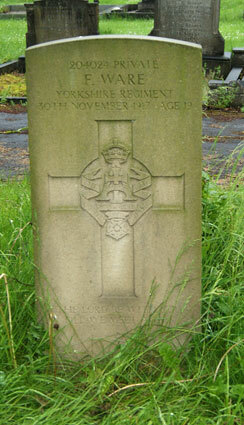 Yorks Reg. / died Sep. 23rd1935 / aged 39 years. / At rest. " 4th Battalion the Yorkshire Regiment. 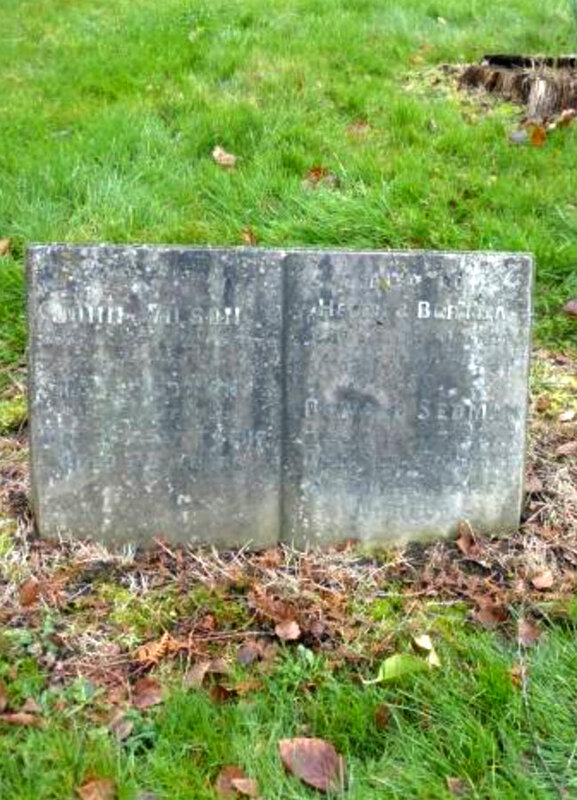 Son of Thomas Ware, of 2, Middlecave Rd., Malton. Died at home 30 November 1917. Aged 19.